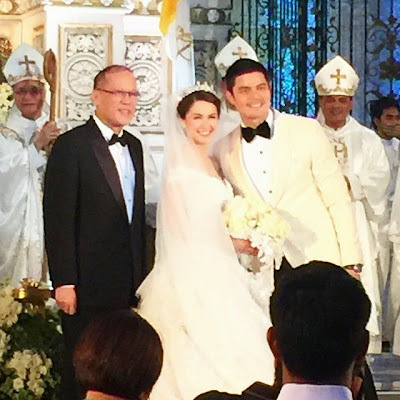 The Marian Rivera - Dingdong Dantes Wedding was praised for being too perfect and ideal, but sadly it's also being criticized by some for being too extravagant, elaborate and expensive. The 'royal-like' wedding, probably the most expensive wedding ever in the Philippines, had a reported P2M-worth Michael Cinco bridal gown, 20 bridesmaids, 40 principal sponsors, 8 archbishops present, 7 priests officiating at the ceremony, over 700 guests at the reception and reportedly millions-worth 12-ft 3D wedding cake (which even made international headlines). And even the presence of the Philippine President Noynoy Aquino as the 'Witness of Honor' in the wedding didn't escape the watchful eyes of some people making it a big deal why the President was there. Some noted that despite having a busy and heavily-loaded schedule as Philippine President, PNoy found a time to attend a celebrity wedding and stand as 'witness of honor'. 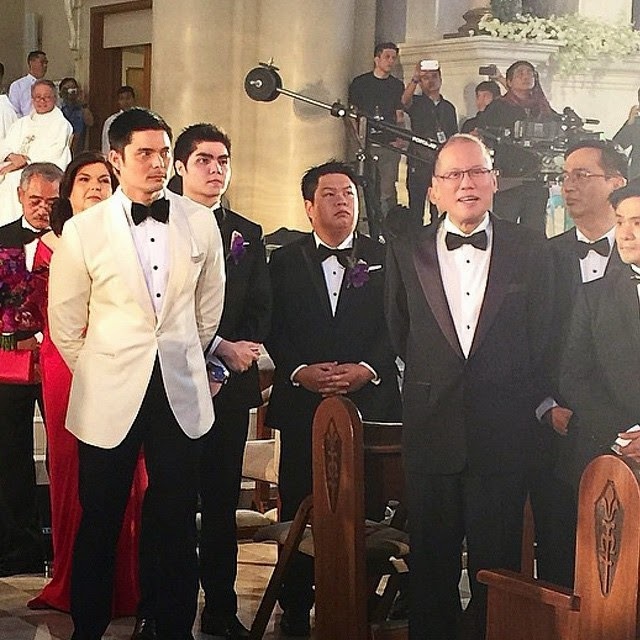 Others also pointed out that PNoy has no time to attend to victims of Typhoon Yolanda (and even the recent Typhoon Seniang), but there he is, being seen at the biggest celebrity wedding of the year.